A wonderful snack or a meal on their own. 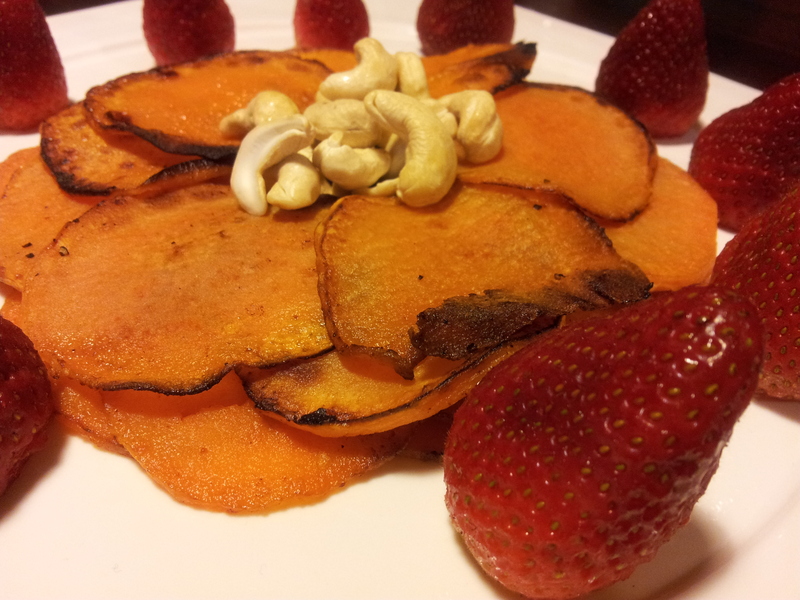 A main dish of sweet potato, strawberries and raw cashews. Eaten straight from the oven they are so delicious with a warm and sweet flavour. 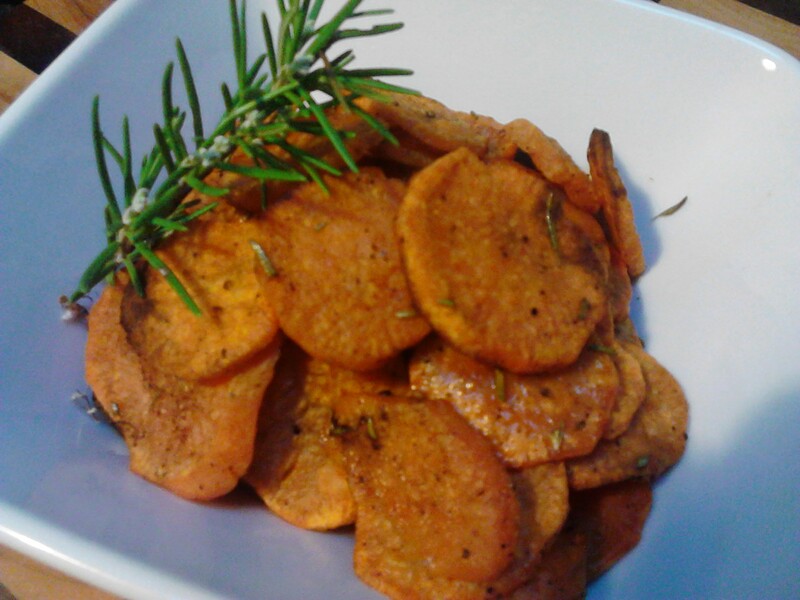 You can make these with lots of different vegetables but sweet potato is my favourite cooked in coconut oil with a sprinkling of sea salt and ground black pepper. Firstly peel and wash your sweet potato. You can use several sweet potatoes if you want to make a really big batch. You will just need more oil and salt. If you have a mandolin or other kind of slicer that is a help but l cut these with a knife and it gave them a rustic quality. Cutting them too thin isn’t really a problem but if you cut them too thick they will remain slightly soggy and not go crispy. They will still taste nice but it is better to try and cut them all quite thin so they cook evenly. Once they are cut place them in a bowl with the sea salt, black pepper and melted coconut oil. You can use Extra Virgin Oilive Oil if you don’t have coconut oil or you don’t like the flavour. Give it all a good mix so the sweet potatoes are all coated in oil. 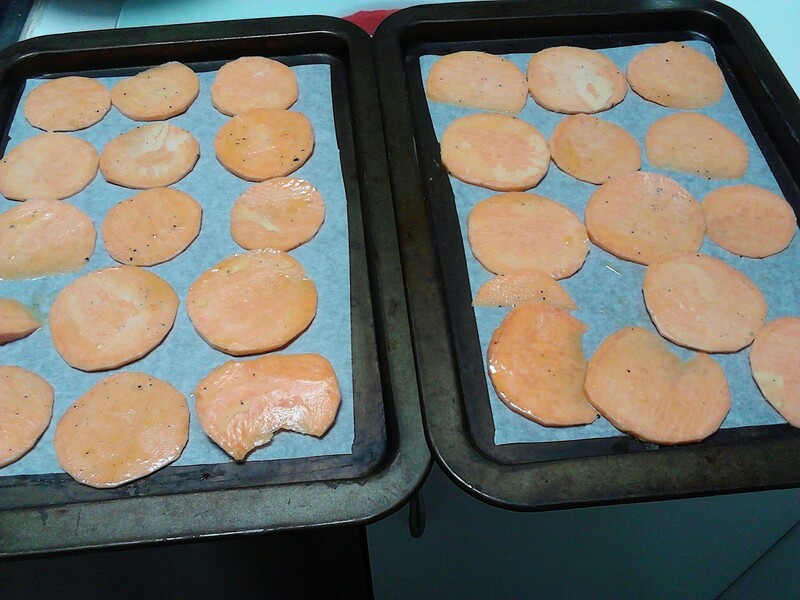 Lay the sweet potato slices out on trays lined with baking paper and place into a pre-heated hot oven (200 degrees celsius). After about five minutes take them out and flip over each piece of sweet potato with some tongs. This can be a bit fiddly but will ensure the sweet potato chips are nice and crispy. I used three trays for the one sweet potato so if you make a big batch you will need to do a few batches to cook them all. 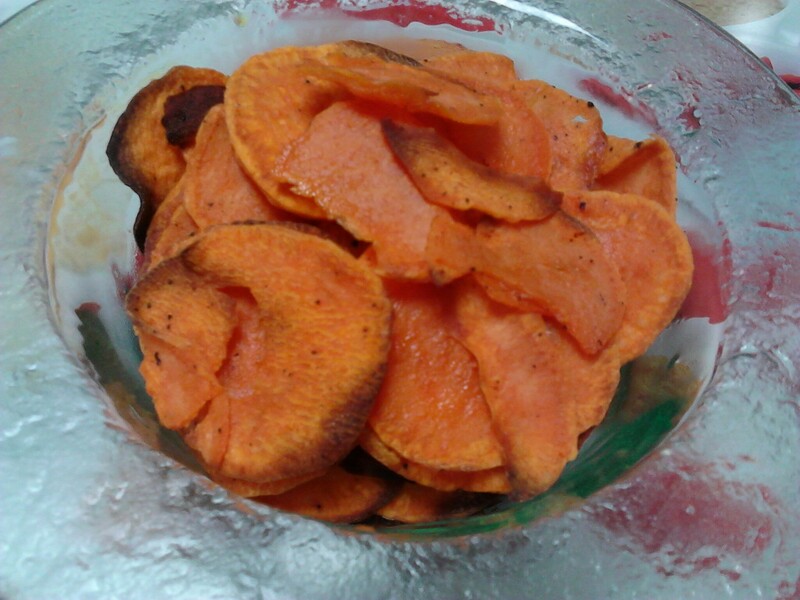 When the sweet potato chips are looking golden and some are showing signs of burning on the edges they are done. 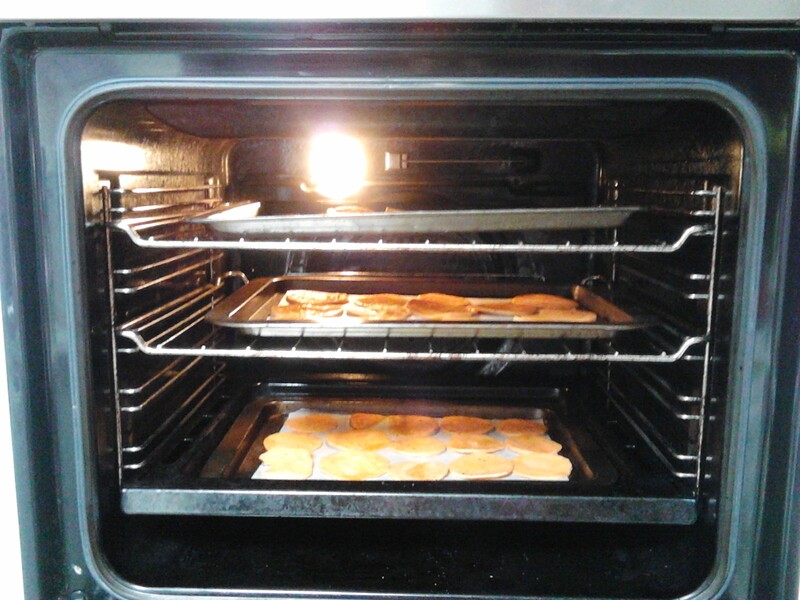 Remove the trays from the oven and let the sweet potato chips cool for about five minutes. 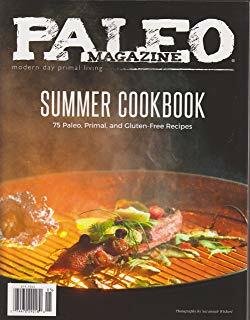 Pick each one up with tongs and place in a bowl to serve. They should be quite crispy and still warm. They are best eaten straight away.